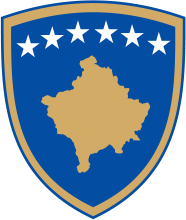 The Ministry of Local Government Administration (MLGA), is a state administration institution of the Republic of Kosovo that is established in 2004. The MLGA exercises its function on the basis of the Constitution, the Law no. 03 / L-040 on Local Self-Government and the Regulation no. 02/2011 on the Areas of Administrative Responsibility of the Office of the Prime Minister and Ministries. MLGA has been directly involved in the process of local government reform throughout these years, respectively the expansion of the decentralization process in the country, provision of the sufficient competencies of local government and their exercise in accordance with the Constitution and the applicable legislation. MLGA pursues a policy of affirming the rights of municipalities in regulating public affairs, creating of the sufficient capacities of municipalities to exercise their activity in accordance with the principle of legality, subsidiarity, transparency, efficiency and effectiveness and other principles of good governance.